Did you expect anything interesting to happen when you went to check your mail at Gmail? How long did it take you to identify ‘Shelfie’ – Sharable Selfie – as this year’s April Fools’ Day joke from Google? 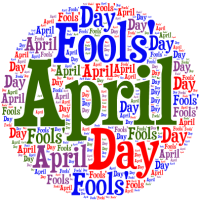 Today April Fools’ day has become more of a corporate occasion, with companies vying with each other to come up with the funniest ad, blog post and tweet. An ‘app’ to unlock an iPhone by rubbing a beard over it, a service to rent out your desk space, an inflight service where passengers can select their on climate (Cancun Afternoon, Standard Day in Los Angeles, and Chicago Polar Vortex, among the choices), homes with chocolate floors… these are some of the interesting products and services advertised on April 1st, 2014. Netflix joined in with its offering of two new entertainment offerings – rotisserie chicken and sizzling bacon, which could be enjoyed online. And Youtube too got in the April Fools’ Day game with a video that claimed credit for every viral video on the internet, including Harlem shake and planking included. • Error 01: Brainwaves received in analog. Please re-think in digital. • Error 666: Multiple transmitters detected. Silence voices in your head and try again. • Error 006: Query is unclear. Try again after removing hat, glasses and shoes. Another one, in 2008, was Google Book Search Scratch and Sniff. To use it, users were asked to place their noses close to the monitor and click Go, which will load the odours. 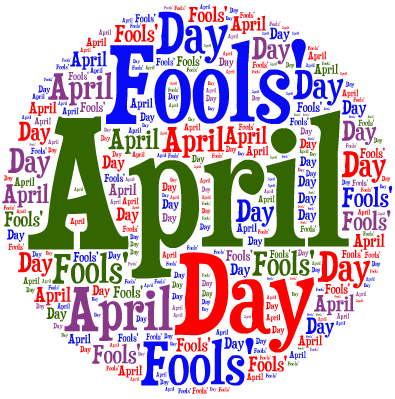 After several attempts, when the hapless users will click Help, they were taken to a page that described the origins of the April Fools’ Day! This year, politicians in Washington DC decided to join in the fun. The Whitehouse announcing the creation of the President’s Council on Beards, Ted Cruz getting a tattoo of Churchill with a cigar, the Republican party claiming the colour blue, Bill Clinton changing his twitter avatar… all happened this year.